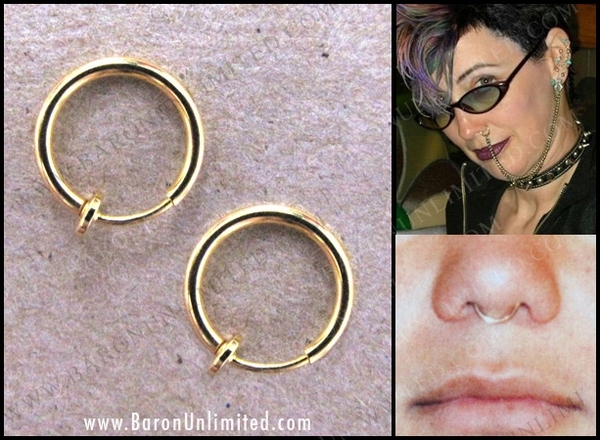 Fake nose rings. You get two of them. Spring mechanism so it stays securely. Can be worn in center of nose or on the side of nose. Also be worn pinched around eyebrow. Add some chain (not included) and hook from the ring to your earring for added effect.